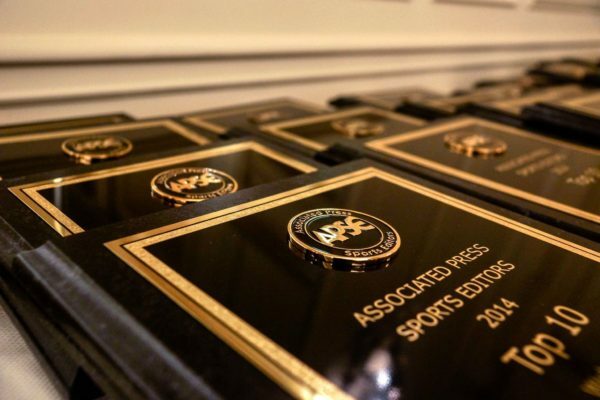 In an effort to increase membership and create uniform classification categories for its annual contests, the Associated Press Sports Editors approved a measure whereby website-only media outlets can enter the APSE website contest under new guidelines. A spirited discussion led to what several long-serving members described as an unusually close 10-6 vote of the APSE Executive Committee in favor of the proposal at the 41st annual APSE summer conference at the Crystal Gateway Marriot in Arlington, Virginia. The newly-approved rules allow website-only members of the organization to “be made eligible to compete in the web contest, at the level they pay dues (Class A, B, C or D as determined by unique monthly visitors), and that they will compete in writing and multimedia contests at the same level. Previously the web contest only had three classifications, while the other contests had four. ASPE Second Vice President Tommy Deas of The Tuscaloosa News will oversee the web contest while the first vice president, Mary Byrne of USA TODAY Sports, will administer the print, multimedia and section contests. The first vice president oversaw all contests in the past. While Sherman and Deas were in strong support of proposed measures, they faced strong opposition from other members of the Executive Committee, including Pittsburgh Post-Gazette sports editor and former APSE president Jerry Micco, and Jim Luttrell of the New York Times. Though he sees any initiative to grow membership as a good move for the future of APSE, Micco said the change was “too much, too fast” and wanted to “hear why it had to happen” from the editors of website-only members. APSE has seen declines in membership, attendance at its annual summer conference, and has had to delve into its reserve fund for four straight years. Micco sees the mission of website-only organizations in stark contrast to that of newspapers that produce print products on a daily basis, or several days a week, in addition to running their own websites. The website contest, previously judged on a few random days, will now be judged on three or more month-long windows to give judges a better opportunity to check out each site. Specific criteria for the contest has not yet been announced, though things such as user friendliness and quality of content are expected to be emphasized. “Going forward select criteria will be developed for the web contest to give judges guidance on what to consider when judging websites, what will not be considered, and how much weight to give various content items,” Deas said. Sherman called the move to new longer judging periods “overdue” compared to the select dates method used in the past and hopes some logistical issues experienced previously will be mitigated. National media outlets, including ESPN and CBS, which hold broadcast rights to sporting events, will not be able to fully capitalize on content obtained through those financial relationships. The new guidelines mean the potential for increased competition in the web contest across the board, as major metro papers will face off with the likes of ESPN, CBSSports.com and newly-approved members SI.com and Bleacher Report, and mid-size and smaller papers could be pitted against Rivals sites such as APSE member GamecockCentral.com and others as they join the APSE going forward.